This dispute has attracted attention, even outside the model railroad community. On January 1, 2010, for example, doing a Google search for "JMRI Katzer" found 7,120 pages. On this page, we list some of the articles and other discussions found on the web. The list is by no means complete! An October 2008 article in Datamation by Bruce Perens provided a particularly good view of the issues at stake at that point, and a February 2010 article by him discussed how it turned out. The case settled during February 2010. Early web coverage included an article titled "Jacobsen and FOSS Community Win Big in Jacobsen v. Katzer Settlement" by Mark Radcliffe on his Law & Life: Silicon Valley site. Andy Updegrove also covered it with a brief article titled "A Big Victory for F/OSS: Jacobsen v. Katzer is Settled" on Linux.com. Detailed articles appeared shortly after on the ConsortiumInfo standards web site, and on the OStatic web site. Once it was posted to Slashdot, the JMRI web site took 10's of thousands of hits (although of course some people in the discussion got a few of the details wrong). Bruce Perens wrote a detailed article for Datamation. 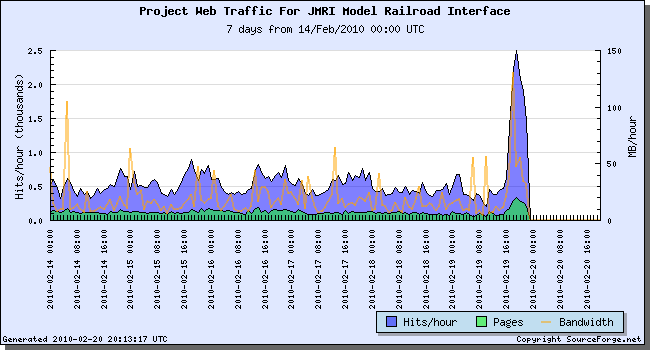 Dana Blankenhorn of ZDnet wrote an article that generated a lot of traffic to the JMRI web servers. Katherine Noyes wrote a good article for LinuxInsider. Ars Technica covered it in some detail. There was a shorter article on Java Zone. Secondary articles appeared on Linux Today, IT Business Edge, Won't Get Fooled Again, Linux Plus, H-online, David Wheeler's blog, das-u blog, the Wilson Sosini Goodrich and Rosati law firm site and others. Of course, not everybody agreed the result was a good thing. One advocate thought that it would "spook" government agencies away from using Open Source. If it "spooks" them into complying with the license terms, just like any other license, it's not clear what the problem is. One the other hand, "blog of bile" thinks that any use of intellectual property law is a bad thing, and that people should be able to use the work of others in conflict with their wishes. Having enemies like this is almost as good as having friends. Finally, one commentator doesn't understand why this is a win, because Open Source all along "falls under U.S. Copyright Law". Well, he may have thought so, but apparently others didn't. The big deal is that now the Courts have said that's true, and deniers have one fewer tool for FUD. An entry in the Right-To-Create blog created the first major attention when it was highlighted on Digg. There was also an detailed update in April 2006, and then another short update in May 2006. Pamela Jones wrote an excellent article for LWN which was later made available on Groklaw. This is perhaps the best introduction to the issues, and carries some interesting discussion in the comments. For example, this item raises the question of how open-source software communities can defeat a divide-and-conquer strategy such as the one being used here against JMRI. Esther Schindler wrote an article for Software Development that was syndicated widely. A brief note on the Patent08 blog in April 2006 provided a nice summary of the case. In June 2006, Bruce Perens wrote a very interesting article on Technocrat.net about the "Monster" of patent litigation against free and open-source software, using the JMRI and Red Hat patent cases as his two examples. It's a good introduction to the larger issues. It's been referenced in articles all over the world; here's a commentary in Italian, for example. When the story was picked up by Slashdot in June, it rapidly reached 400 comments from readers. Another article by a patent attorney discussed aspects of the case in June. In September, the Information Week web site carried an article about software patents that used the JMRI case as an example of abuse. The case was used as an example in another article about patents at the Supreme Court. In December 2006, Jim Farmer presented a talk on Patents: Is Open Source Endangered? at the JASIG Conference in Atlanta that used the JMRI case as an example of the chilling effect of patents. JASIG is a group of educators and universities interested in collaborating on open-source educational technology. A talk with similar themes was given by Michael Feldstein at the April 2007 conference on Open Source, Learning, and Patents in Washington DC. The copyright aspects were originally discussed on Slashdot in November 2006, but there wasn't a lot of general interest at that point. The August 2007 decision denying our request for a preliminary injunction on copyright, and even questioning whether copyright is available for Open Source projects that use "non-exclusive licenses", generated much more attention. The first article was on Mark Radcliffe's Law & Life: Silicon Valley blog on August 22, 2007. Evan Brown's Internet Cases site carried a somewhat different analysis the next day. Brief item on the OpenSource Legal website. Article on The Converging Network site. There's a long discussion from several perspectives in the responses to a Slashdot article, which had the side-effect of driving 10's of thousands of readers to the JMRI web site. Some interesting and detailed analysis appeared on Linux World News and in an article on the web site of the Goodwin Proctor law firm. A shorter summary appeared on the web site of Thelen Reid Brown Raysman & Steiner. The wider computing public was exposed to the issues via articles in InfoWorld and eWeek. There was an item on use.perl.org (Perl uses the Artistic License, as does JMRI), which was followed up by a longer item on Brian Foy's blog, and a discussion on the Perl Monks site. An interesting analysis of the how this case illuminates the comunity as a whole was written in early 2007. For those who can read Hebrew, there's a post on the LinMagazine site. The discussion has reached as far as China. Mark Radcliffe referred to how the case has effected wider issues of licensing in posts on September 20th and November 25th, 2007. Eventually, there were even articles in legal journals such as the North Carolina Journal of Law & Technology. There's a nice article about the decision on Groklaw, with some detailed commentary (scroll past the text of the decision). Then it hit SlashDot in a well-written item that of course caused much discussion. There have been articles in German, Dutch, Spanish, Polish, French, Hebrew, Dutch and Russian. Only 24 hours after the decision was released, Google found 577 unique new hits on the search string "jacobsen katzer open source decision". It's great that the AIPLA considers JMRI's victory over Katzer's incorrect copyright arguments as one of the "Hot Topics of 2008". Larry Rosen will be presenting a paper at several intellectual property conferences, and posted a copy on his website. Michael Swaine wrote an article for Dr. Dobb's covering this case. (It was the cover story for the November 2008 issue.) The article makes the interesting point that model railroading is where free software begain. Coverage and discussion continues. In late October 2008, for example, Sean Hogle wrote a widely referenced article on how the case was a "significant victory". The October 2008 issue of "Litigation", the magazine of the American Bar Association's litigation section, carried an article titled "Open Source Software Licenses Held Enforceable". Article in the Texas Intellectual Property Law Journal, Spring 2009 issue. The case was also covered by a nice article in the July/August 2009 issue of "Landslide", the magazine of the American Bar Association's Intellectual Property Section.